Your facility comprises a wide range of plumbing systems that you count on every day of the week. 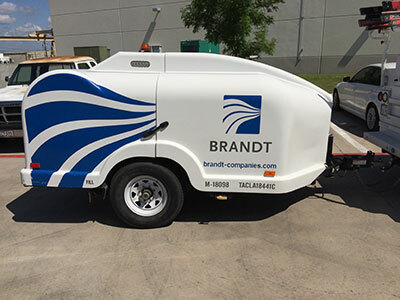 Brandt’s plumbing services help keep your daily operations flowing smoothly. From scheduled maintenance to emergency plumbing services, our team of experienced plumbers is available 24/7 for maintenance and repairs on simple or complex plumbing challenges. No matter what time of day or night, our clients know Brandt works tirelessly to keep downtime to a minimum and operations running smoothly. Our comprehensive plumbing services include backflow testing, drain cleaning, hydrojetting, and medical gas piping systems. Our hydrojetting services include powerful equipment that can cut through grease lines and even tough jobs like storm sewers, parking deck lines, condenser water piping and more. Brandt helps you resolve plumbing issues quickly without compromising the comfort and productivity of building occupants.